Nasal strips are an easy-to-use, comfortable snoring aid that is an ideal solution for snorers who are looking for a cheap, non-invasive way to stop snoring. They are also convenient for frequent travelers as they are light and disposable. Here are the most effective nasal strips currently available. 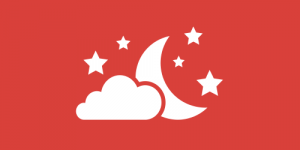 Snoring doesn’t always originate from your throat. With Theravent, you are addressing snoring by way of a specialized adhesive nasal strip. 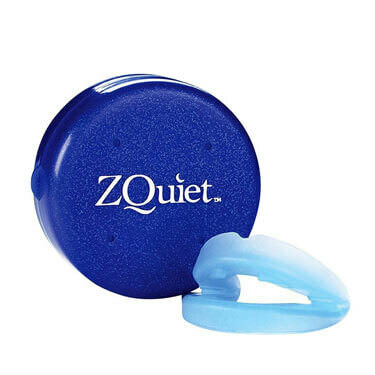 This incredibly soft and comfortable nasal strip is easy to incorporate into your anti-snoring routine. 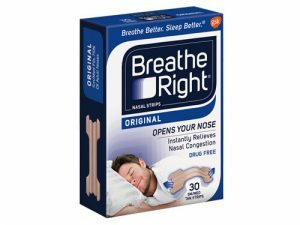 Breathe Right Nasal Strips provide instant relief from your snoring and breathing problems by mechanically opening your nasal passages. They are completely natural and drug-free, so wearing them won’t elicit any undesired effects on sensitive skin. 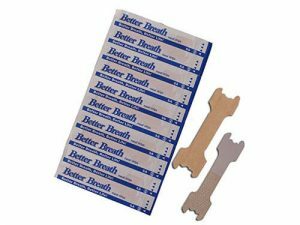 Better Breath Nasal Strips are little disposable strips that you place on the bridge of your nose before you go to sleep in order to enjoy a completely snore-free night. They are incredibly convenient and comfortable and they’re not that expensive either. 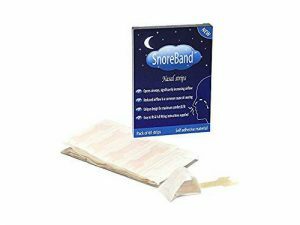 SnoreBand Nasal Strips are super-easy to use, provide maximum comfort, and most importantly, they successfully eliminate nasal obstructions. They can also be extremely helpful in cases of nasal congestion caused by allergies or the common cold. MEDca Nasal Strips represent an easy way to prevent snoring without any discomfort or complicated fitting and molding. They improve nasal airflow by around 30%, help with nasal congestion, and allow you and your bedmate to finally have a good night’s sleep. Sometimes the best solution is the simplest one, just like in the case of nasal strips. While you may find it hard to believe that the answer to your long-time snoring troubles can be so easy, they truly are among the best anti-snoring solutions around. Given that they are as good as advertised, that is. 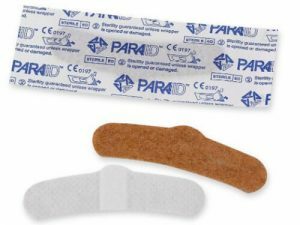 To the untrained eye, they may all look quite similar, but fortunately, we know how to tell a great anti-snoring nasal strip from a glorified Band-Aid. It may seem like nasal strips are generally comfortable, but quite often, the elastic band that is designed to prevent your nostrils from collapsing may be too hard on your skin, cause irritations or result in great discomfort. Therefore, we conduct multiple empirical tests in order to determine the exact level of comfortthe nasal strips provide. If is also crucial that the material quality is high. 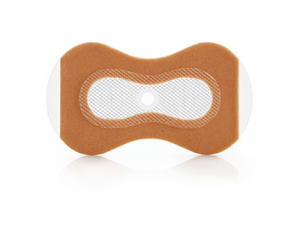 Some nasal strips are prone to tearing and sometimes, the adhesive used may be of such poor quality that the strip just slides right off your face if you start sweating or if your skin is greasy. Therefore, the quality of the materials is paramount. 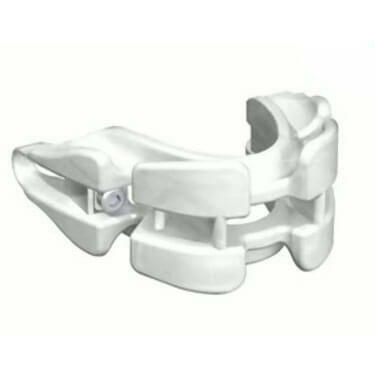 The previously described material quality is closely related to the reliability of the strips. If you cannot be sure that the strips will stay in place all night long and that they will not lose their elasticity, then the strips in question are not worth considering. The best anti-snoring nasal strips are the ones that won’t fail you regardless of the conditions. Of course, what is most important is that at the end of the day, you can go to bed, pop on your nasal strip, and go to sleep, breathing freely and quietly until the morning. Thus, we primarily focus on precisely determining the effectiveness of the strips when it comes to snoring prevention and their effects on nasal congestion. It is important to note that we never disregard the opinions of the actual users. That is why we also rate nasal strips based on user satisfaction. Last but not least, we determine whether the price is reasonable. 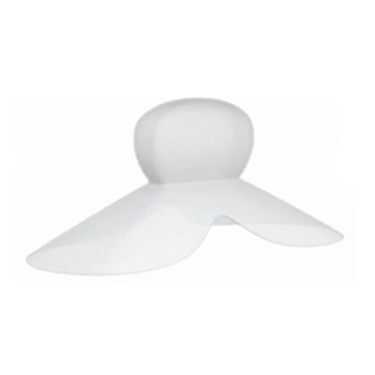 One of the reasons why users decide on nasal strips is the fact that they are among the most affordable snoring aids. So, while our primary concerns are the quality and effectiveness of the anti-snoring nasal strips we review, we also want you to get exactly what you are looking for – a simple, convenient, and inexpensive solution to your snoring problems.